A child in New Jersey was recently struck and killed by a large truck while riding his bicycle. What led to the accident, however, has not yet been determined. The very serious accident resulted in several road closures as well as detours. While riding a bicycle is an activity enjoyed by many children, doing so has the potential to result in serious accidents. When children are harmed by another responsible party while riding their bicycles, families often find it is important to obtain the assistance of a skilled attorney who can help them obtain the compensation they deserve. It also helps to understand some of the various ways in which bicycle accidents occur. Always wearing bicycle helmets that adequately fit their head. Avoiding riding at night instead of during the day because children are harder to see in the dark. If a child must ride the bicycle at night, he or she should make sure to wear clothing that can easily be seen by others. Checking equipment including making sure that brakes work and inflating tires properly each time before riding. Making sure to always ride with at least one hand on the handlebars. This means that children should never carry items while riding their bicycle. Remaining alert to various road hazards including broken glass and gravel, which can quickly lead to very serious accidents. Riding a bicycle where the bicycle adequately fits the child including proper seat height and handlebars that are at the same level as the seat. Using safe driving techniques which include going with the flow of traffic, obeying traffic laws, yielding when it is appropriate to do so, always remaining alert to surrounding conditions, looking before turning, and watching for parked cars. Wearing bright colors, fluorescent, or neon to make sure that children are seen by others while riding. Bicycles are sometimes manufactured or sold with defective parts, which can lead to serious injuries and even fatalities. Negligent drivers are the primary cause of bicycle accident involving children. 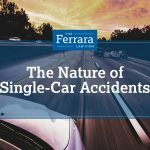 There are numerous types of driving patterns that can be considered negligent including distracted driving, drunk driving, and speeding. Numerous conditions on Michigan roads including cracks, potholes, and other hazardous conditions can lead to bicycle accidents that severely harm children. 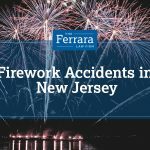 At Ferrara Law, our legal counsel has successfully helped numerous bicycle accident victims obtain compensation for accidents. To make sure that you receive the compensation that you deserve, speak with an experienced bicycle accident attorney who can help navigate the various obstacles that arise in your case. Contact us today for assistance.